I have lived quietly in this house for most of my life. Books accumulated and a space had to be cleared. 100s of volumes of fiction — novels and tales — were selected for the cull. Before I could dispose of the books I took images of 384 of the volumes and placed them, together with other information, in spreadsheets. The spreadsheets are a repository for the data. I also collected text from each volume, following an algorithm which was intended to ensure that I was not just picking out favourite bits, or suppressing parts I did not like. 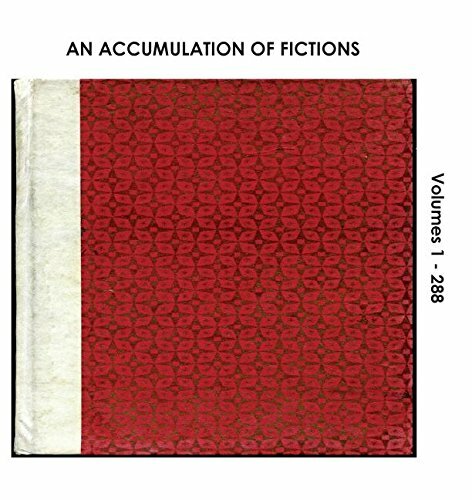 An Accumulation of Fictions is an aggregate formed from the collected text. Out now on Colebrooke Publications. The book will be launched on 22nd June with readings from it by M.J. Weller and Richard Makin: Cass Art, 66 Colebrooke Row, London, N1 8AB., 5PM – 8pm. An evening of readings/performances hosted by VLAK magazine to mark the launch of VLAK 5, featuring Lou Rowan, Stewart Home, Jim Ruland, Ulli Freer, Becky Cremin, Sean Bonney, Will Rowe, Louis Armand, David Vichnar, Nat Raha, Tim Atkins, Jeff Hilson and more. SPECIAL FEATURE: Launch of Richard Makin’s new novel, MOURNING (published by Equus Press, 2015). A night of poetry taking place at Inland Studios, 1st floor (above The Stormbird Pub), 25a Camberwell Church Street, Camberwell, SE5 8TR. 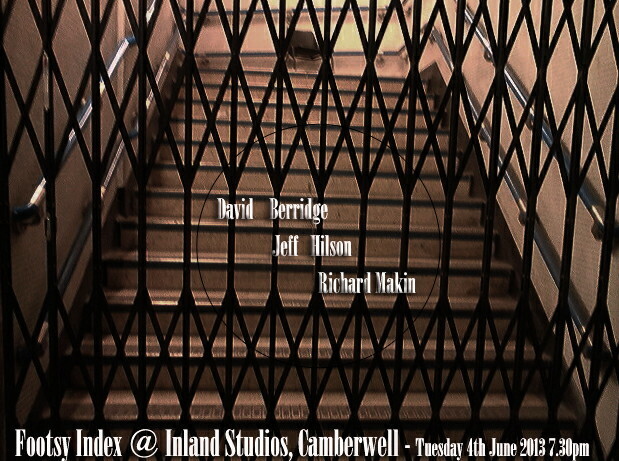 7.30pm Tuesday 4th June, with readings by David Berridge, Jeff Hilson and Richard Makin. John Gilmore launched Head of a Man and Richard Makin launched Dwelling with readings at Stone Squid experimental art space, Hastings, East Sussex, UK on 5 November 2011. A video of part of John Gilmore’s reading can be accessed here. A video of part of Richard Makin’s reading can be accessed here. STONE SQUID experimental art space, 78 High Street, Old Town, Hastings TN34 3EL. Saturday 5 November 2011, 6:00pm, free admission – refreshments available. More at the Reality Street site. More than 80 people actively supported Reality Street in 2010. This support is vital for the continuation of the press, as it has been in the past few years. All Supporters, in addition to receiving copies of every book published during the year, are entitled to be listed as a Supporter in the back of the books and in relevant publicity, unless they have expressed a wish to remain anonymous. and click on the appropriate button: UK/Europe (£45) or Rest of the world (£60). You can then pay with your credit/debit card or through PayPal. If you prefer, you can send a sterling cheque payable to Reality Street to the address below. If you would rather pay with a non-sterling cheque or via bank transfer, please reply to this email. PLEASE CONSIDER JOINING US AS A SUPPORTER – Reality Street gets NO grant aid and is dependent on its readers!